So! 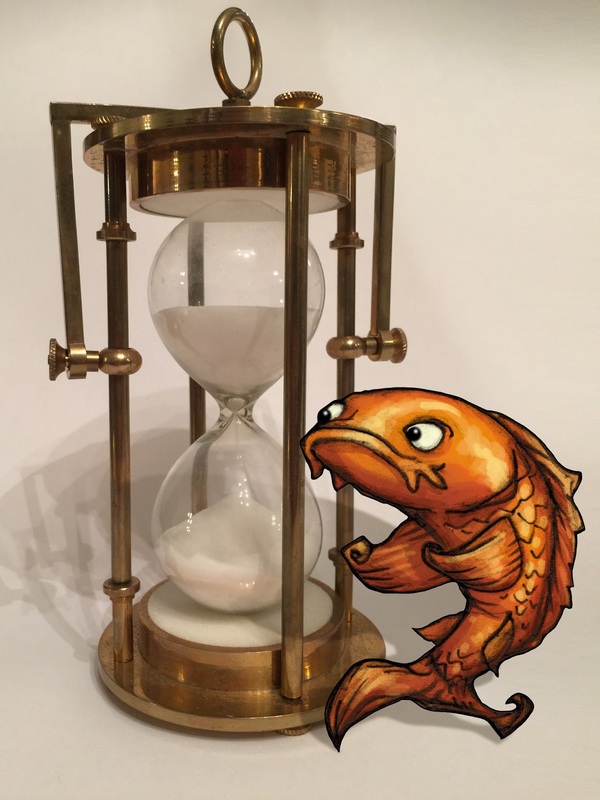 The one month countdown to the release of Fish Wielder is in full swing! I've created a daily countdown post for social media in an effort to keep the release top of mind and, hopefully, to give people a taste of the sense of humor of the book and keep them amused even while making them aware of the imminent arrival of the book. So far, the results have been pretty encouraging in terms of views. Of the 3100 or so friends Fish Wielder has on Facebook, I'm averaging about 300-653 actually seeing the posts. In my experience, that can be a big battle on Facebook, unless you are willing to pay for exposure. Generally speaking, when posting something organically, way less than ten percent of the people who signed on to see my posts actually even get a chance to see it. That's because (near as I can make out) Facebook is really eager to get me to pay for my stuff to be shown to the people who want to see it, so they've written a bunch of clever algorithms that prevent people being exposed to things for free. I'm also posting the countdown to Twitter and sometimes to Instagram, but my numbers for followers on those sites are pretty pathetic, so I'm not as focused there. In other news, I've been filling out lots of email interviews that my publisher has sent me from various blogs that are going to participate in my virtual author tour. A virtual author tour is apparently what everybody does these days rather than an actual author tour. The actual author tours not only cost a bunch of money, but they are very inconvenient, as you actually have to travel a whole bunch. I'm not a person who loves travel. I would go so far as to say that I often actually dislike it. So, I'm just as happy to be doing a virtual tour (or perhaps more happy) than to be doing a real one. Although, since I've never done a real one, I'm just guessing. As far as the interviews go, they've been pretty interesting. Not my answer parts so much, but the question parts. 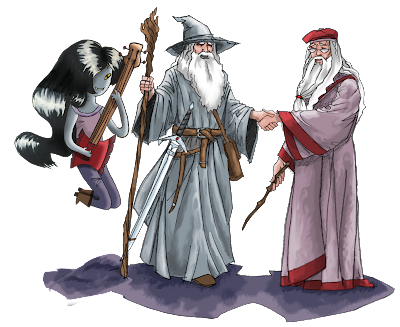 I've been asked to describe my writing process, to share any music play lists of stuff I listened to while writing, my approach to characters, the magic system of the world of Grome and even the political context in which the story is set. I've had a lot of fun answering, although the trickiest part has been trying to provide the requested information while projecting the humorous tone of the book. It seems like, if you've written a funny book, you probably shouldn't use a dry and serious tone when answering questions about it. I could be wrong about that, but I suppose we'll see. I'd hate to come across like I wasn't taking the questions seriously. There. That's another weird thing I never thought I'd be worrying about when sitting down to write the book. I should probably make a big list of all the weird stuff I've worried about in trying to get this book sold, published and promoted that I never dreamed I'd worry about when I was just having fun writing it. A not weird worry I've been having is that the on-sale date for the book is approaching pretty rapidly and there are still tons of people who have never heard of it, don't know it's coming and probably won't have any exposure to it before it comes out. It's just a very crowded and noisy field, with all kinds of books being published every hour of every day. It's hard to get noticed in an environment like that. With this in mind, I wrote to my agent some time back and asked him what he thought about hiring a PR agent. He said he thought it was a good idea, but kind of expensive and said he'd meditate on whether there was one in particular he'd recommend. On May 24th, he got back to me on that front and said that there was an agency called Wunderkind PR that he would recommend highly. I went to their website and checked them out. There appear to be two primary agents at Wunderkind and they list their email addresses on the site, so I picked Elena (the founder) and wrote to her. Since there aren't any submission guidelines or anything, I just winged it. I started by mentioning that my agent had suggested I contact them, then I gave a super quick bio of myself and my work, then I attached a bunch of links to my Fish Wielder stuff--the website, the Facebook page, the Twitter page, my Jim Hardison author page, and the trailers for the book. Wunderkind has a pretty impressive client list, so I was kind of concerned that they wouldn't have time for me or would take a long time to respond, but Elena wrote back really quickly. She said the trailer made her laugh and asked what kind of PR campaign I was looking for--6 weeks or 3 months. I said I thought the 3 month campaign sounded best and then she wrote back and said that would be about $12,000 and that they would appreciate it if I could send the manuscript so that they could see if I would be a good fit for the agency. So, $12,000 is a lot of money, but in researching PR on the Googles and by asking people, I've come to understand that it's pretty much what PR costs if you want it done right. So, swallowing hard, I said yes and sent off the manuscript. I thought, "What the heck? The chances that they'll even accept me as a client are probably small, and if they do, it will be worth it." Just over a month later, not having heard anything back, I assumed they must have decided that my book wasn't right for their agency. So, I started thinking about whether I was interested in pursuing some other PR firm, or if I should just let it drop. It's not like I was eager to spend a bunch of money, and in my research about PR firms, I had come across a lot of horror stories of people who had been very unhappy with their results. That made me wary about trying to find another PR agency that wasn't coming with a personal recommendation. I figured I'd write a quick note to Wunderkind just to confirm for sure that they had decided not to represent Fish Wielder. But guess what? Elena wrote back in less than two hours. She was apologetic about not having gotten back to me because she had been waiting to make sure there would be room on the Wunderkind schedule to fit me in. She was very complimentary about the book, but said they would only have time to do a six week (rather than 3 month) campaign. So I said yes. The downside is, of course, that the campaign won't be as deep as it would be with a three moth run. The upside is that it will be only half the cost. So, I now have a PR firm (or, I will have a PR firm soon). They haven't sent me a contract or game plan yet, but I'm expecting one within the next week or two. I'm eager to see how much of a difference a PR agency will make in promoting the book and will keep you posted on how it works out and whether the return on investment feels adequate for the expense. Ok. I think that's it for the moment, except to say that there are some other promotional things in the works and I'll lay out the details as they happen. I also need to do an accounting of how all the promotional stuff and the return on investment for the convention tables and booths has worked out, but that will have to be in a later post, as this one has run on far too long already. Saturday, July 23rd, 2016: The Countdown Begins! Well, this being the 23rd of July, 2016, the release of Fish Wielder is now exactly one month away. The COUNTDOWN has begun! I must say that, similar to how I might feel on seeing the timer begin to tick down on an explosive device, I feel an odd mix of excitement and trepidation. The excitement is because, after more than a year and a half since finishing what I considered the "final" draft of the manuscript, it's finally going to be a real, published book. I've got to say that this publishing thing took A LOT longer than I expected it would. I knew it wasn't an overnight thing, the way self-publishing would be, but I didn't fully appreciate how long it would actually take. I'd love to hear from any other writers out there about your publishing experiences and how long your journey from manuscript to book took. But, after all the waiting and preparing, I'm just one month away from the moment when people will actually be able to read the book and decide whether they like it or not! In a lot of ways, that's kind of the point of publishing a book, rather than just writing it and sticking it in a box under your bed. You want to share it with readers. I'm so excited to hear what people think about it and see whether they find it funny and enjoy the story. And that's where the trepidation kicks in big time. They may not find it funny, or may not think it's a good story. Now, after months and months of telling people what it's going to be like, they're going to actually read it and decide for themselves. Want to see what that feels like? This picture is based on a Cabinet Card by the talented Colin Batty! OK, with that out of the way, here's what's happening now, as Fish Wielder enters the final pre-published stretch. First, I was up until about 4:00 AM this morning filling out author interviews. My wonderful publisher, Fiery Seas Publishing, emailed me a bunch of interviews to fill out for various websites and blogs. I find interviews fun but awkward. It's always weird talking about yourself (it feels so self-centered and braggy), but it's also really interesting to hear the questions that other people have about your book and your writing process. I also find it surprisingly useful to have to think about those things enough to be able to answer the questions. Why did I decide to write and epically silly epic fantasy? How did I get interested in writing and why do I do it? What was I trying to achieve with my characters? And then there are more specific questions about things I've already thought about a lot. What's the magic system on the mystical world of Grome? What it the political climate there? What meaning did I ultimately hope people would draw from the book? Next, my publisher asked me to pull at least ten excerpts from the book that can be used to promote it. These were supposed to be between 300 and 500 words each. I didn't think that would be a hard thing to do, but there are actually a fair number of twists and turns in the Fish Wielder plot that made selecting excerpts a little tough. I couldn't pick any passages that gave away plot developments or could be interpreted as spoilers. So, it actually took me a whole day to identify excerpts. I actually started by picking out about twenty of them and then narrowed it down to fifteen that I sent off to my publisher. I figured that would provide a little flexibility. Beyond those things, I'm also working on potential blog posts to use on my "virtual book tour" which is supposed to start up sometime on or around the release date of the book. Included in those posts would be things like interviews with the main characters of the book, selected quotes from the book and funny or interesting material related to Fish Wielder or writing in general. In other words, I'm having to do a bunch of writing! While that's totally cool and fun, it has been cramping my writing schedule just a bit for the next book in the trilogy, A Fish Out of Water. This is, of course, my own damn fault. My publisher warned me, shortly after I signed on with them, that I should get busy immediately on the sequel because I'd find myself pressed for time once the book was actually released. And did I immediately jump into the writing? NO! I was too buys doing other promotional things and feeling like I had plenty of time! And here's another funny thing I didn't expect. Once I actually dove into the sequel writing process, it was a weirdly different than writing the first book. With the first book, absolutely anything was possible and all I had to do was follow where the story took me. With the second book, while there's still a good bit of that going on, I also have this little voice in my head that's comparing the new stuff to the old stuff. Am I capturing the same tone? Is the voicing consistent? Am I relying too heavily on jokes and tropes I used in the first book? Am I not using them enough in the second one? Writing a sequel is adding a whole new level of second-guessing to the process. I say a whole new level because my writing process always involves a fair amount of second guessing to start with. This just spreads a thick layer of frosting on top of that. And one last thing. Now that I'm down to the last month, I hope to post here at least once a week, maybe more. Even that is a cop out. I had decided to post here every day for the last month, but when I just went to write that down, I found it a heart-stopping commitment and wimped out with the "at least once a week" thing. Then I tried to salvage it with the "maybe more" bit at the end. OK. Time to run and pick up the pizza for dinner!